The Fourth of July is one of my favorite, favorite holidays. The fireworks, barbecues, parades and celebrating the land I love, of course… it’s just the best! 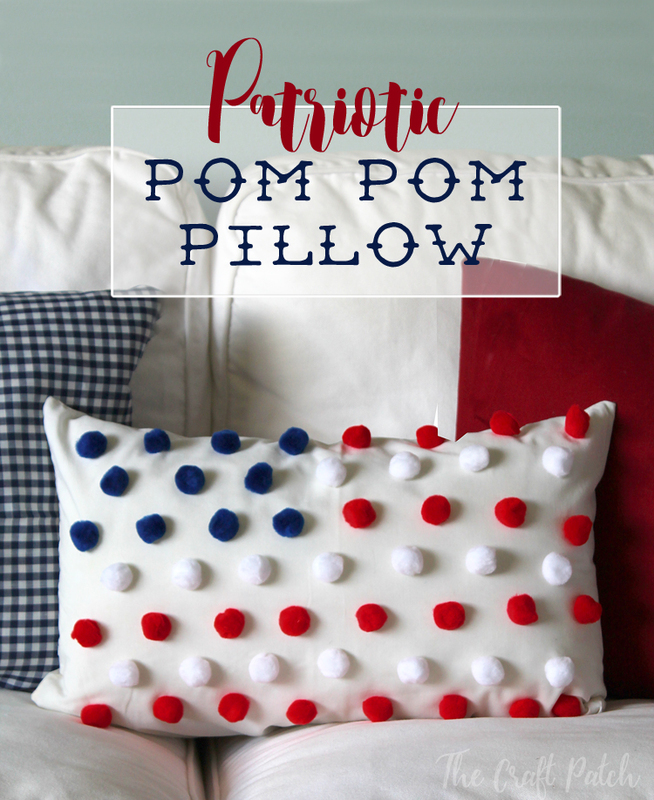 I really wanted to add some patriotic flair to my living room without a ton of redecorating, so I decided to make another pom pom pillow! The first pom pom pillow I made was just too fun! I love the subtle flag pattern. 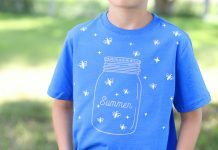 It adds just a pop of the Fourth of July spirit without being crazy. And it was so, so easy to make! 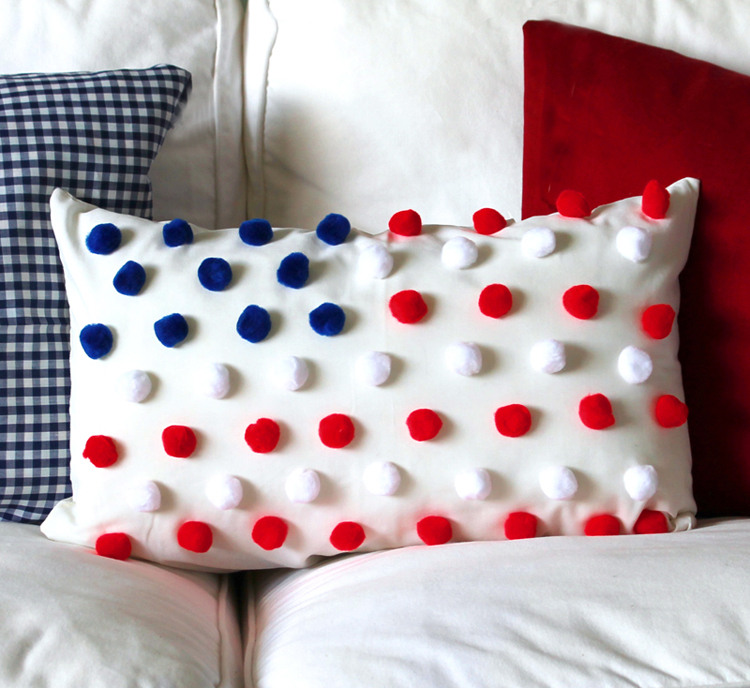 To make your own Fourth of July pom pom flag pillow, you’ll need a plain white pillow cover and 1 package each of red, white and blue pom poms. You can start by marking out the pattern you’d like with a pencil, but I just eyeballed it. 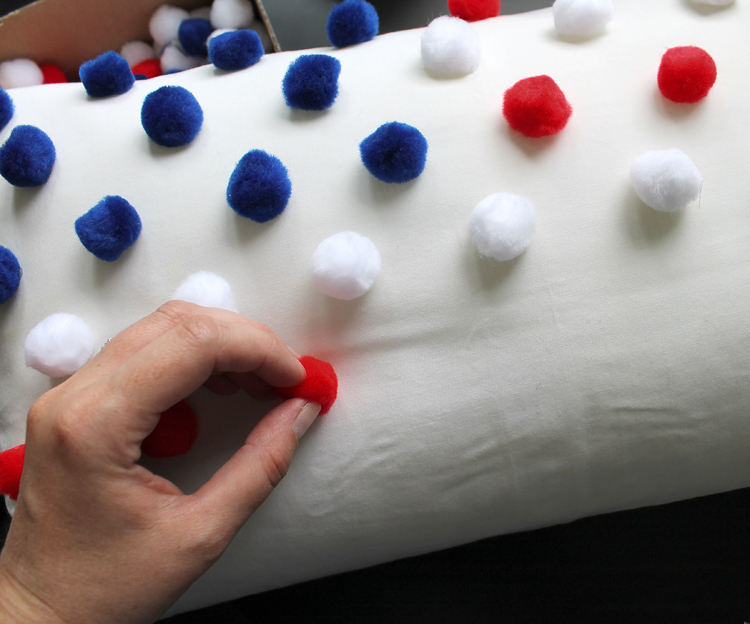 Then all you have to do is use hot glue to attach the pom poms onto the fabric. It’s that easy! On the Fourth of July, we always hit our local hometown parade, then spend the day swimming, grilling, and playing as a family before settling in on a picnic blanket to watch the fireworks. How do YOU spend the day? 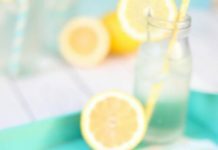 Do you have any special traditions? So cute!! And so easy!!! 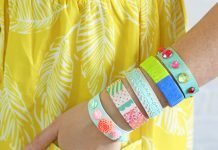 Hi Jennifer – this is so adorable! I love pom poms! Visiting from Flamingo Toes and pinning. Hope you have a happy first week of summer!